What Is Magnuson Stevens and What Does It Have To Do With Fishing? As a longtime Jersey charter boat captain, listening to my customers’ needs was critical to business success. Now as executive director of the Recreational Fishing Alliance, it’s my responsibility to listen to our individual members’ needs, which in many ways are the same as those I used to take fishing full time for tuna, striped bass, weakfish, bluefish and fluke. The saltwater anglers I speak to on a daily basis want healthy fish stocks; they also want reasonable access. As rewritten in 2006 by special interests at the Marine Fish Conservation Network, the federal fisheries law (Magnuson Stevens) rebuilds fish stocks by stopping allowable fishing. Black sea bass is a rebuilt fishery that environmentalists tout as a Magnuson victory; New Jersey anglers, however, are not allowed to fish for sea bass from Jan. 1 through May 26, and on July 2 will be allowed only two fish. 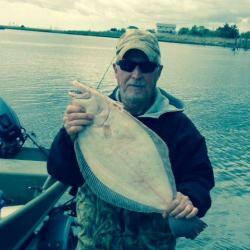 Summer flounder (fluke) is a rebuilt fishery that the Marine Fish Conservation Network cites as an example of Magnuson’s excellence, yet two years ago the state was forced into a more restrictive “regional” approach with New York, leading to an increase in state size limit now decimating South Jersey businesses forced to compete with Delaware. At the same time, the federal government will not allow New Jersey to open the fluke season before May 17, thanks to the federal law and “fatally flawed” data collection. Meanwhile, recreational blueline tilefish anglers are facing draconian cutbacks because the government has failed to collect enough statistical data. Magnuson Stevens was enacted in 1976 to protect our U.S. recreational and commercial fishing industry. It was meant to foster robust coastal communities while conserving coastal fish stocks. While Marine Fish Conservation Network lobbyists boast of their success with rewriting this law in 2006, they fail to address the impacts of lost angling opportunity. Today, their political operatives take great delight in reducing open congressional review of this law into partisan grandstanding, while the overwhelming majority of commercial and recreational fishing organizations have banded together in mutual support of H.R. 1335 to reform Magnuson Stevens. The legislation passed by the House Natural Resources Committee addresses the arbitrary, congressionally created timelines for rebuilding fisheries, a hallmark legislative appeals put forth by Rep. Frank Pallone, D-N.J., on behalf of New Jersey fishermen. With support from new committee member Rep. Tom MacArthur, R-N.J., H.R. 1335 would also modify the rigid requirements now forcing draconian “accountability measures” leading to ever-shrinking seasons. It also would force management councils to provide more public transparency. H.R. 1335 would limit future “catch share” programs in our region (concepts pushed by the environmentalists to issue individual fish tags for all fishermen), and dedicate fishery fines toward data-poor fisheries while taking steps to improve recreational data collection. As a registered lobbyist who works exclusively to represent saltwater anglers and the recreational fishing industry nationwide, it’s important that I listen to my members while also keeping open dialog with the opposition, wherever possible. Paul Eidman, who as early as December of 2009 was lobbying for Marine Fish Conservation Network to stymie efforts to allow improved angler access to rebuilding fish stocks, continues his partisan attacks against sensible fisheries reform through the Asbury Park Press. After seven years of congressional hearings, it’s obvious that the federal fisheries law needs reform. It’s time for congressional Democrats to stand up on behalf of their angling public, and allow what once had bipartisan committee support to move forward, without partisan grandstanding on behalf of radical “green” ideology. This law is rapidly destroying the robust fishing communities it was designed to protect. Jim Donofrio is executive director of the Recreational Fishing Alliance. This entry was posted in Conservation, Fishing Politics on June 4, 2015 by ronniegarrison.